Magician enters the stage with a suitcase in hand. From suitcase magician produce FOUR Guitars. Easy to do. An absolutely astonishing appearing act where you appear not ONE but FOUR full size guitars from a suitcase. 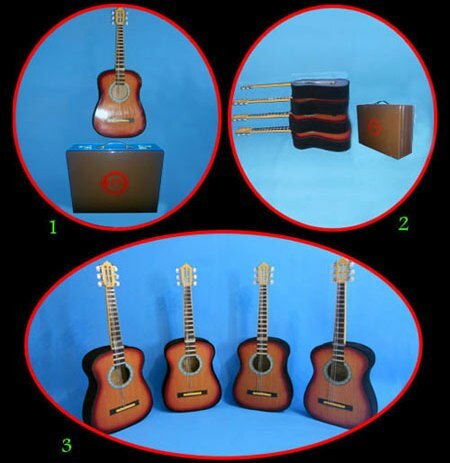 Comes With instruction sheet with nice-looking Suitcase (Bag), 4 Guitars & additional.